This qualification reflects the role of individuals with significant expertise in either specialised or broad areas of skills and knowledge who are seeking to further develop expertise across a range of business functions. The course is suited to the needs of individuals who possess significant theoretical business skills and knowledge that they would like to develop in order to create further educational or employment opportunities. Those undertaking Advanced Diploma of Business are required to have completed a Diploma of Business qualification. 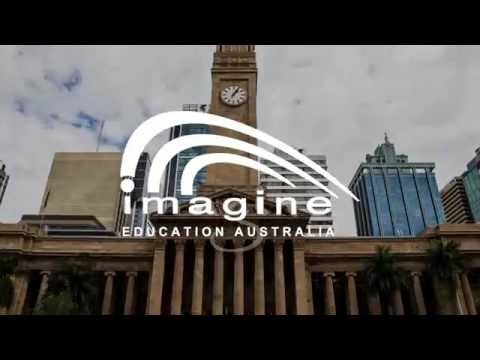 Imagine Education Australia is a Vocational Education and Training centre and a privately-owned English Language Centre on the Gold Coast. In cooperation with partner education providers, Imagine Education can provide students with a pathway into high school, university, or higher learning throughout Australia. All the necessary learning materials including text books for use in class are available to students. Imagine Education notebooks are provided free of charge. Imagine Education Australia has two campuses: our Main Campus at Benowa Road; and our Southport Central Campus off Scarborough Street. Imagine’s Southport Central Campus is home to our College of English, Aqua Body & Soul hairdressing and beauty training salon, and Faculty of Fitness. Imagine’s Main Campus is home to our other Vocational Educational and Training (VET) faculties, including our Faculty of Automotive, Faculty of Business, Faculty of Community Services, Faculty of Early Childhood Education, Faculty of Finance, Institute of Hair & Beauty, and Faculty of Hospitality. Imagine’s free college bus travels between our Main Campus and Southport Central Campus each day to transport students to and from classes. Imagine’s Main Campus is conveniently located next to The Southport School’s junior campus and directly across the road from The Southport School’s middle and high school campus, perfect for students participating in Imagine’s High School Preparation program.